Our advanced cooling, chiller, and boiler products are developed to optimize	overall performance efficiencies. 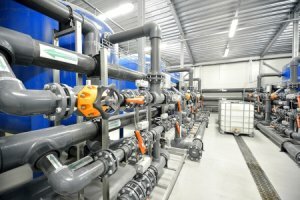 Our product line provides complete solutions	for process water treatment that combat corrosion, scaling, general and	biological fouling as well as organic and inorganic deposits. We have	products designed for the treatment of cooling tower systems, which include	both “One Drum Programs” and segregated products programs.